It seems absurd to ask whether President Obama regrets hosting a U.S. Champion Little League team that later was stripped of its title, but here's why Major Garrett is actually a Jedi ninja mastermind for doing so. While the president&apos;s new AUMF request dominated Wednesday&apos;s White House daily briefing, another seemingly innocuous, yet fascinating, drama played out under the radar. 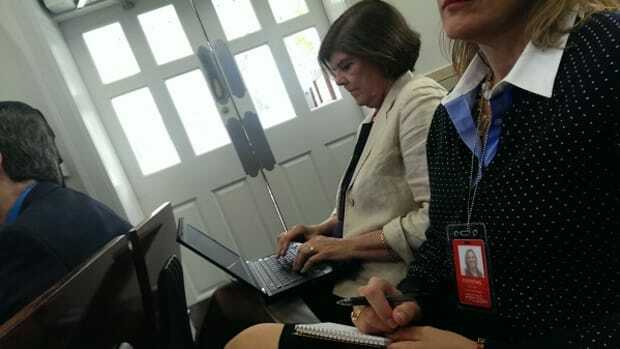 To the untrained eye, it was just another case of White House reporters trying to get a salable piece of "gotcha" tape, but with the proper guide, it&apos;s an example of the mysterious ways in which canny veteran journalists operate. 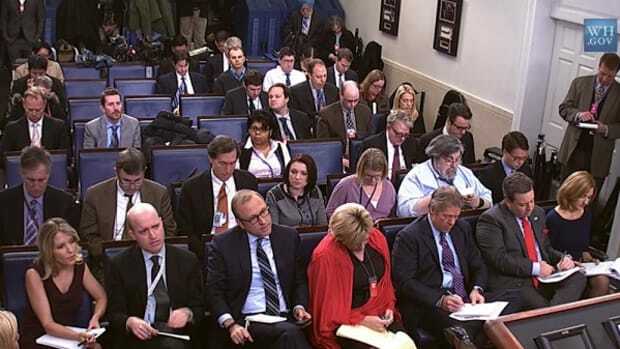 It began with a question by CBS News Chief White House Correspondent Major Garrett, who asked Press Secretary Josh Earnest if President Obama had "any regrets" about hosting the Jackie Robinson West Little League team, which has been stripped of its U.S. championship because coaches and parents violated Little League rules by stacking the team with players from other districts. Earnest responded that the president was "proud" of the kids on the team, and that "some dirty dealing by some adults doesn’t take anything away from the accomplishments of those young men." Earnest: Lynn, I&apos;ll come back to you. Don&apos;t interrupt. 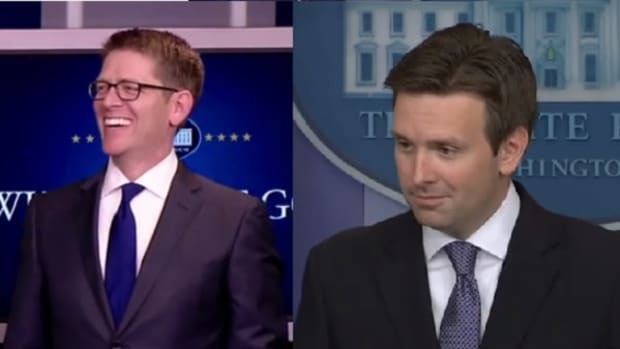 In case you missed it, the best part of that clip was April Ryan&apos;s reaction to Earnest&apos;s scolding "Don&apos;t interrupt," which is not how this gambit is usually handled, and which I would recommend no one ever try on April. 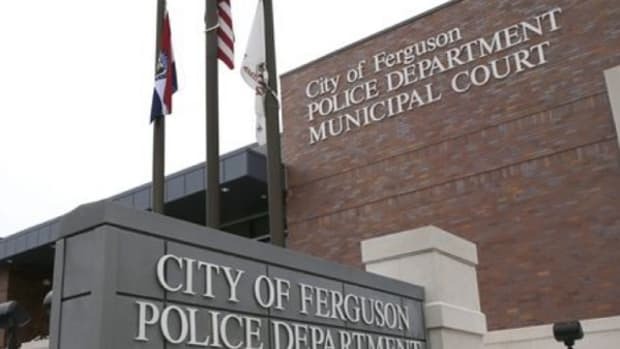 Usually, the spokesperson will either ignore the interloping question, lay it off with a "We&apos;ll get around the room," or on rare occasions, actually stop to allow the followup. Those exceptions tend to be made for more well-established legacy media outlets, not the scrappy little guys trying to gobble up a crumb. Sweet: I just want to -- given the enormous attention that the team got when they were here in November, if there was anything more of a message to the boys about what you said was the “dirty dealings of adults.” If they feel that his trip here was not right, or if they have to apologize, or do you think they have anything -- is there any message to the boys, more than to the adults? 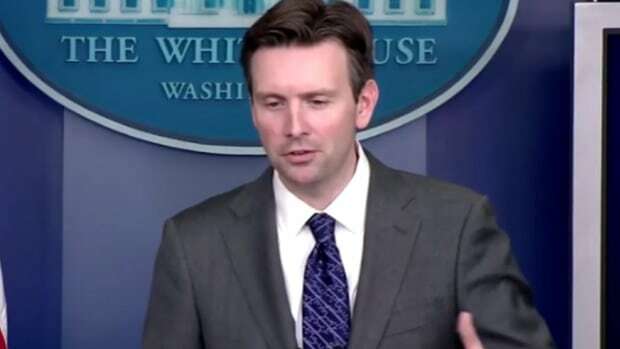 Earnest: Well, listen, I think what the president would say is that, again, the actions of those adults doesn’t in any way take away -- does not in any way take away from the accomplishments of those young men who performed brilliantly on the baseball diamond, on a pretty large stage. And their accomplishment is the product of years of commitment and practice and some skill. And they should be proud of what they’ve accomplished, and there’s nothing that those adults who may not have done the right thing could do to take away from those accomplishments. 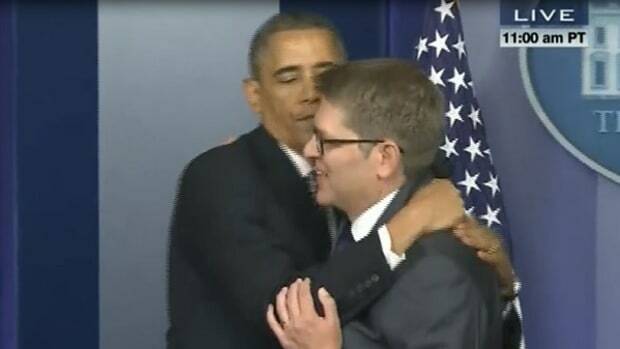 And the president, for that reason, was pleased to have the opportunity to have met them last fall. And the president, I think in the message that he delivered to them personally, is hopeful that they will continue to take that sense of purpose and that determination and that patience, and apply it to success in other elements of their lives. Now, the knee-jerk reaction to all of this is to dismiss it as an absurd attempt to involve the president in a cheating scandal that really has nothing to do with him, and that he couldn&apos;t possibly have known about when he hosted the team in November. 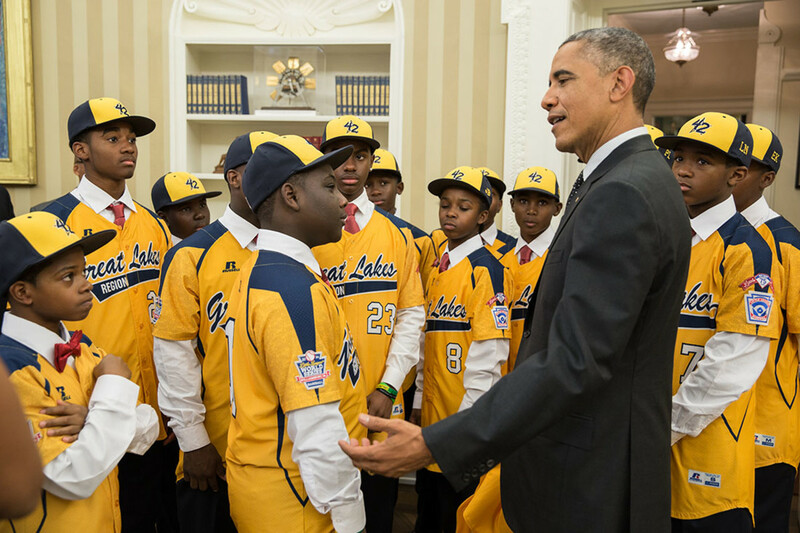 The Jackie Robinson West team was also the first all-black Little League team to win the title, adding an extra layer of disappointment to their downfall, and a hot peg to their meeting with the first black president. It seems pretty cheap to the naked eye. But in responding to the question, Earnest gave reporters an opening that will pay off in a couple of months. There are supporters of the team who are disputing the finding, but as of now, Little League has ruled that the team&apos;s coaches and parents are guilty of cheating, and while Earnest is right that the kids shouldn&apos;t shoulder he blame for that, he&apos;s wrong that it doesn&apos;t take away from their accomplishments on the field. If they got to pick the best players from around the Chicago area, then they had an unfair advantage over the teams that played by the rules, even if it wasn&apos;t the kids who did the cheating. 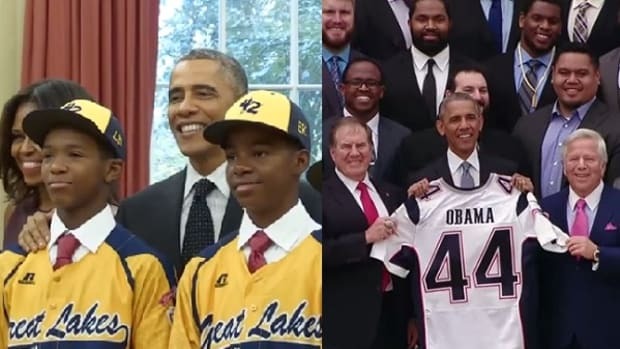 Nevada&apos;s Mountain Ridge Little League team, which was awarded the championship that was stripped from Jackie Robinson West, didn&apos;t get to visit the White House. As of this writing, the White House has not scheduled such a visit, but that may change. 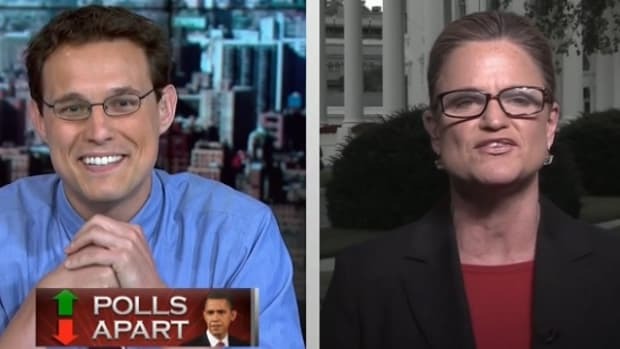 That brings me to the genius of Garrett&apos;s question, because in a few months, the president will be welcoming another group of cheaters to the White House, and they don&apos;t have a bunch of dirty-dealing parents to hide behind. Once the date for that event is announced, usually sometime in the spring, Earnest&apos;s answers to this question can be shopped anew, and while the resident had no way of knowing what would happen with that Little League team, I think we all know the Patriots were cheating. Earnest was able to lay this one off on bad parents, but it will be a neat trick for the president to avoid condoning cheating when the Patriots come to town.